Bill Evans playing Nirvana songs? This rich, generous hunk of music adheres to that same commitment to unbridled emotion--"tenderness" is used in the liner notes and it's the right word to use. Fristoe specializes in taking familiar tunes and doing so much more than "putting a new spin" on them. As the trio tackles everything from "Caravan" to a couple of Beatles tunes ("Lucy in the Sky with Diamonds" and "Blackbird"), my first instinct is oh no, not this, and then you hear those feelings and marvel at just how honest and surprising these songs truly are. 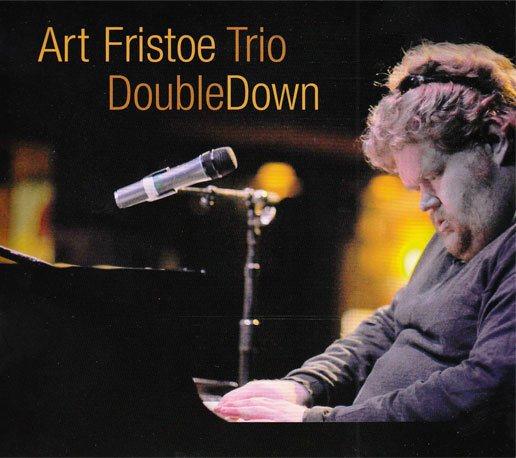 Fristoe, who is the son of jazz bassist Joe Fristoe, is also remarkable for his mere presence. Touted as a "gentle giant," he is a massive man, 6' 6" tall, with supposedly enormous hands that cover the keys with a focused grace. 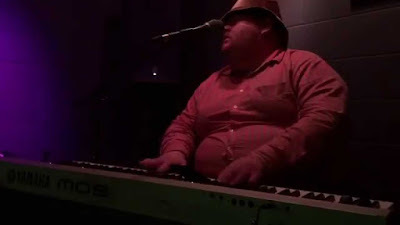 He's known for his stunning knowledge of all types of music, and it shows in the outstanding choices he makes here. Even the aforementioned cover of "Caravan" is striking--I feel like I've heard two dozen different versions over the last year, but this is the one that sticks in my mind the most. Fristoe starts off purposely guarded and jumpy and stiff, and then the energy slowly unfolds into a mass burst of excitement, still terse but with a swiftness that is incredibly ornate for a mere trio. I've never been a proponent of quantity over quality, but I really enjoy the large amount of music that wound up on this disc. For me, double albums often require more than one listening session in order to absorb everything, but DoubleDown is a CD where you push play and then forget about what you're going to do over the next couple of hours. Thank you taking the time to listen. Please drill down on the website to see a couple of videos. This project was for the most part recorded live in an old boxing gym (now Bright Star Productions) in an old industrial part of Houston. We brought in a a great piano. It was engineered by my partner in crime and dear friend of 25 years, Andy Bradley (engineer for everyone from Beyonce to Willy Nelson). Thank You for supporting the music!